(19589.121.3, Alvin Rucker Collection, OHS). Meandering 140 miles through the Ozarks in Arkansas and Oklahoma, the Illinois River flows into the Arkansas River in Sequoyah County near Gore. Unlike the river of the same name in the state of Illinois, the western Illinois is too shallow for commercial navigation, but it attracts more than one hundred thousand tourists annually. In 1806 U.S. Army Lt. James Wilkinson recorded that he had passed the mouth of the "river des Illinois." The Frenchman who named the stream is unknown, as are the exploits of most of his countrymen who formed alliances with the area's Indians. Descendants of the Caddoans who built mounds at Spiro, these sedentary Indians occupied the Illinois valley before the arrival of Europeans. In 1828 the river became the central waterway of a region given to the Cherokee as a western homeland. A feud between Cherokee tribal factions from 1839 to 1846 and the Civil War of 1861–65 constituted the most turbulent era of the valley's human history. The river cuts through the oak- and hickory-clad Cookson Hills, which provided shelter for guerillas, outlaws, and moonshiners. Nestled in these historic hills, Tenkiller Ferry Reservoir, a thirty-five-mile-long lake, follows the channel of the Illinois River and its lower tributaries. Completed in 1954, Tenkiller transformed the region into a tourist Mecca. The abundant water supply and the area's long growing season have also attracted commercial nurseries that distribute container-grown plants throughout the nation. 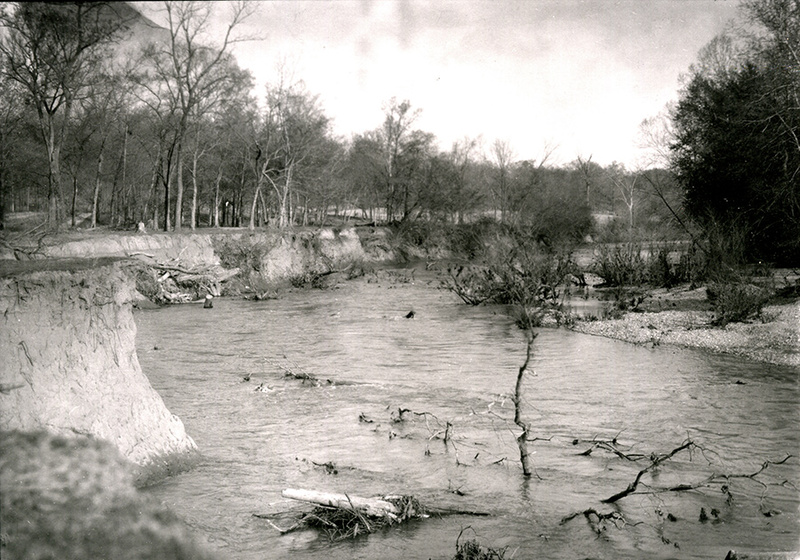 The river flows unobstructed from the Arkansas border through Adair and Cherokee counties until it reaches Tenkiller. In this stretch, the most popular for canoeing, the river cuts through rugged hills and steep bluffs in a once-remote, sparsely settled hinterland. Since 1970 seventy miles of the river between the Arkansas border and Lake Tenkiller have been under the supervision of the Oklahoma Scenic Rivers Commission. In the 1990s conflicts arising over use of the river have provoked controversies, at least one of which reached the U.S. Supreme Court. T. L. Ballenger, "The Illinois River," The Chronicles of Oklahoma 46 (Winter 1968–69). Kenneth L. Smith, Illinois River (Little Rock, Ark. : The Ozark Society Foundation, 1977). United States Heritage Conservation and Recreation Service, The Illinois Wild and Scenic River Study, Draft Field Report (Washington, D.C.: Department of the Interior, 1978). Brad Agnew, "Illinois River," The Encyclopedia of Oklahoma History and Culture, https://www.okhistory.org/publications/enc/entry.php?entry=IL002.